A frank, funny and inspiring story of a contemporary Cherokee woman who goes on a six-week, 900-mile journey with her father along the Trail of Tears to better understand her own identity and the conflicts of her nation. 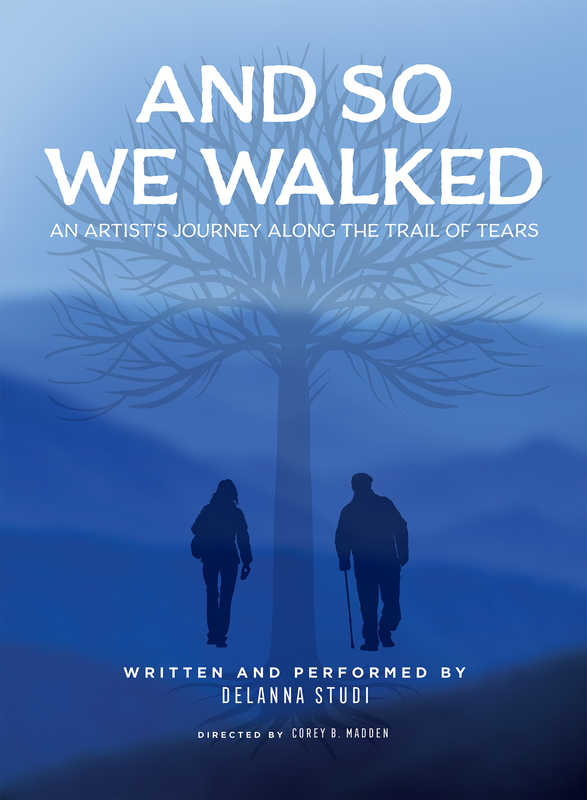 And So We Walked is a powerful, multi-faceted dramatic memoir that draws on interviews, historical research and the artist’s personal experiences to convey the complexities and conflicts with which the Cherokee wrestle. 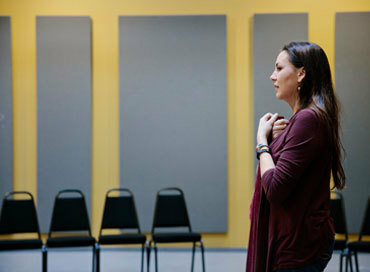 DeLanna Studi returns to The Armory for her own very personal play after starring as Marie Dorion/Sarah Astor in Astoria: Part One and Two. Approximately 2 hours and 10 minutes, including one intermission. Recommended for ages 13 and up. Contains some mature language. Children under 6 are not permitted at any production at The Armory. Reviews of "And So We Walked"
"This play is a testament to the spirit of gadugi." 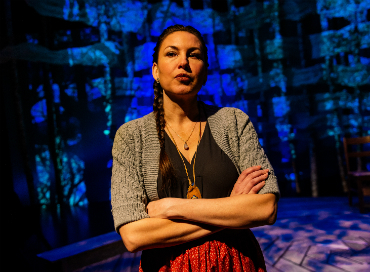 And So We Walked playwright DeLanna Studi on her journey as a playwright and the journey of The Cherokee people.